- Lance Armstrong, Seven Time Tour de France winner. 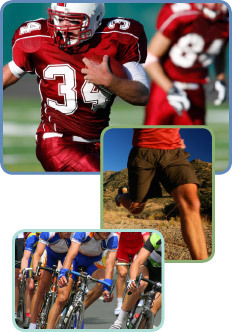 Sports medicine is a substantial part of our practice at Grayson Chiropractic Associates. When your body is in alignment, your nervous system is finely tuned and all pistons are firing! This leads to better performance, fewer injuries and a quicker recovery period. 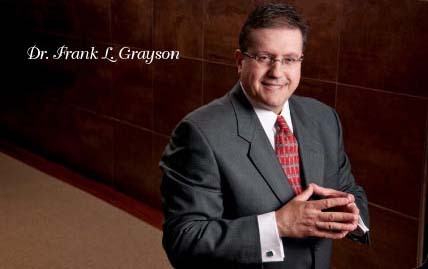 Dr. Grayson treats a wide range of sports-related conditions and problems, including acute injuries (those that happen suddenly), such as the dislocation of a joint and joint sprain; and over-use injuries (those that develop gradually), such as carpal tunnel, stress fractures, muscle strains and tendonitis. Most sports involve body contact, fast starts and stops - or positioning that places an unusual amount of strain on the back and structural system. Our doctors treat each person as an integrated being, giving special attention to their spine, joints, muscles, tendons, ligaments, and nerves. To learn how we can help you prevent or recover from sports-related injuries, schedule a consultation today.